Meditation has really been a transformative practice in helping me build my own self-esteem. Today, I’m going to share some background on the subject, I’ll share some ways meditation has helped me with my self-esteem, and how you can start your own meditation practice. 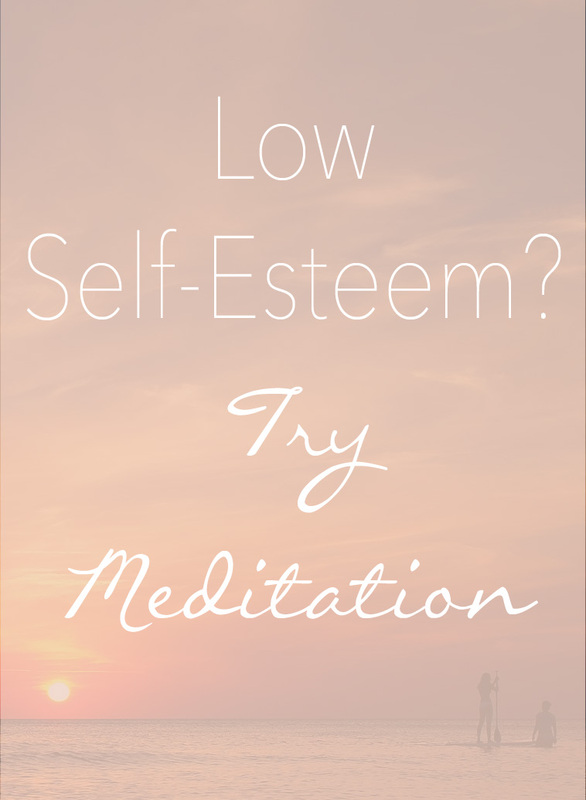 If you struggle with low self-esteem, meditation might be a helpful practice for you too. Basically, self-esteem is a way you see yourself and a way you interact with the world. How does self-esteem develop? Can it change? Self-esteem isn’t fixed. It changes and develops over time. Your life, your life experiences and your relationships all have an effect on your self-esteem. So whatever your self-esteem level is right now, IT CAN CHANGE. I’ve struggled with low self-esteem for a long time. I never had trouble making friends, I was very “successful” in school, but I always felt very cautious inside and definitely sought external validation to feel “ok” about myself. I’ve come a long way since then, but low self-esteem is a hard thing to overcome especially when you’re not aware of the struggle. The realization and the awareness of negative thought patterns are the first steps towards building self-esteem. How can meditation build your self-esteem? As I mentioned here, there are more than a few ways to build self-esteem. Art, therapy, and visualization have all been very helpful, but MEDITATION has been the biggest game-changer for me. Meditation is the practice that teaches you to be present and still with your own thoughts and with the feelings in your body. Meditation teaches you to just be. Life experiences happen and they can often contribute to a change in your self-perception. The traumatic loss in my life and the desire to feel more present in each moment, less distracted, and more connected to my kids were my main motivations for starting a meditation practice. Meditation has helped in all of those areas, with one unexpected result. In becoming more in touch with myself, I began to recognize my own low self-esteem and began to develop habits to counteract it. Starting the day off in awareness; reminding you of the beauty of the present moment so you can return to it throughout your day. Taking time for yourself, even 5-10 minutes, contributes to a general feeling of self-worth. Developing the ability to recognize NEGATIVE thought patterns, stop the thinking, name the feeling and practice self-compassion. Building awareness of JOYFUL thoughts too, which you can then recognize and appreciate. Building a sense of peace from within so you’re not dependent on external validation for a sense of self-worth. Developing a sense of commonality, interconnectedness, and peace with the world, a feeling that you’re not alone in this struggle. There are many wonderful resources to help you begin a meditation practice. Two of my favorites right now are the Headspace app and the UCLA Mindful Awareness Research Center website. I use the Headspace app every morning and I often listen to the MARC free guided meditations as part of my evening routine. The Headspace app has a great free 10-day program that teaches you the basics of meditation. The UCLA guided meditations are also very good for teaching the basics in a super, simple way. Once you have the basic techniques down, you can meditate on your own at any time fairly easily. Where is my self-esteem now? After seven months of regular meditation, I can say that it’s definitely higher than it was. This is evident through the fact that I’m writing these blog posts and, that I’ve finally overcome that fear of what-if, and will be pursuing my graduate degree. I wouldn’t say that I now have high self-esteem. I think it’s a more general feeling that I can accept myself, where I am, in each moment. Some days I feel better than others. The great thing is that now I can recognize when I’m not feeling so great. On those days, I can take the time to sit and return to my body and better understand where those feelings are coming from, hold them in awareness and let them go. I can notice when my mind is attempting to leading me astray. I can gently remind myself that it is thinking or feeling and name it. All of those practices help me feel more at home in my own skin and help me feel better about accepting and loving who I am right now. That is how you build self-esteem. Loving yourself even in the imperfections. That is what I’m trying to do each and every day. If you’re struggling with your own self-esteem, “May you be happy, may you be well, may you be at peace.” Give meditation a try. It may help. That is how you build self-esteem. Loving yourself even in the imperfections. Have you ever tried meditation? I’d love to hear about your experience in the comments. Sources:  Hewitt, John P. (2009). Oxford Handbook of Positive Psychology. Oxford University Press. pp. 217–224. ISBN 978-0-19-518724-3. 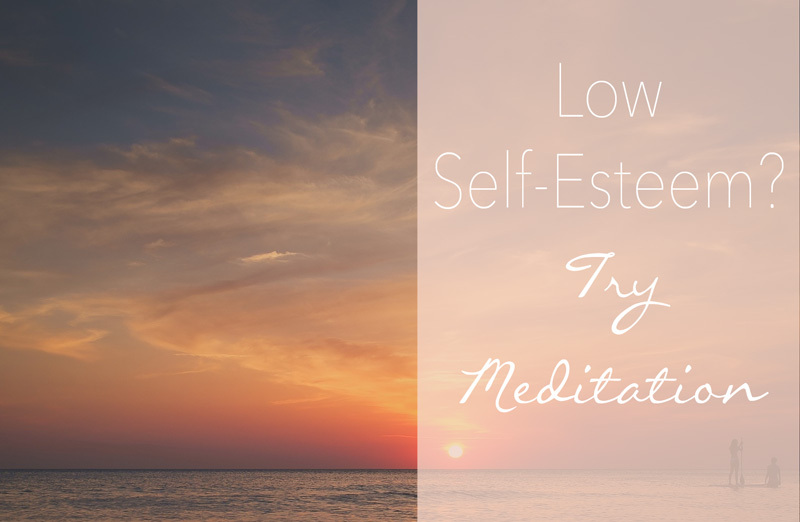 Increasing self-esteem – yet another reason why I need to be more consistent about meditation. My excuse is always time…I don’t have enough time in the day to do all of the things I need to do (usually for other people). Meditation always falls of the To Do list because it is something just for me, and therefore, not as high of a priority as the stuff I do for others. Scheduling time for yourself to meditate sends the message “I am just as important as all the other people I schedule appointments with.” I really need to make meditation a priority. it’s so hard for me to sit still, definitely takes effort. good job cousin, so happy to read about your journey! love you! I see an improvement in you since you started meditating. It makes me want to start!